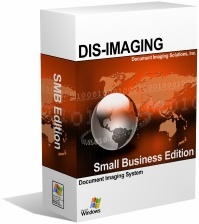 The most effective business performance strategy a credit union can deploy is to establish a document imaging system. The requirement to check signature cards when processing a customer transaction to verify the person is authorized to carry out the transaction. To have completed all the necessary paperwork to comply with government regulations and to efficiently and effectively retrieve the documentation during audit to prove compliance. To process loan applications efficiently, gathering all the necessary documents and servicing the loan until it is paid off in a way that demonstrates excellent customer service and complies with government regulations. Paper is a barrier to efficiently handling these transactions. Signature cards are not instantly available to everyone that needs them. Signature cards are filed in filing cabinets that require staff to leave their work area to retrieve it for verification purposes. Or worse yet, staff may simply process the transaction without verifying the signature to confirm that the person is authorized to carry out the transaction because the verification process is awkward and time consuming. During an audit, staff is required to hunt down and provide documentation to the auditor. This takes staff away from other duties, increases the credit unions overhead, and makes proving compliance a difficult and time consuming process. To process a consumer loan, documentation must be gathered from multiple sources and many times different people need access to the same information. It is not uncommon for a document to already be sitting in one loan file which is also needed to process or document an entirely different loan. Unless the loan officer knows of its availability, requests must be made of the customer to once again provide duplicate information to the credit union. Increased costs of employee time, filing cabinets and paper files, copy machine costs, etc.